Are you looking to implement inbound marketing and sales as part of your strategy this year? Prism Global Marketing Solutions, a Program partner of the Business Essentials Program, is offering $5,000+ per year in savings. 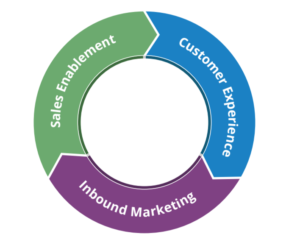 Prism Global Marketing Solutions is your partner in inbound marketing, sales and the overall customer experience. As a HubSpot Platinum Agency Partner and HubSpot Accredited Trainer, we provide our clients with strategic and integrated inbound marketing and sales solutions to achieve their holistic business goals. For members of the Arizona Technology Council, Prism offers a 10% discount in annual inbound marketing and sales enablement services. Learn more about this exclusive promotion offered to members of the Arizona Technology Council.